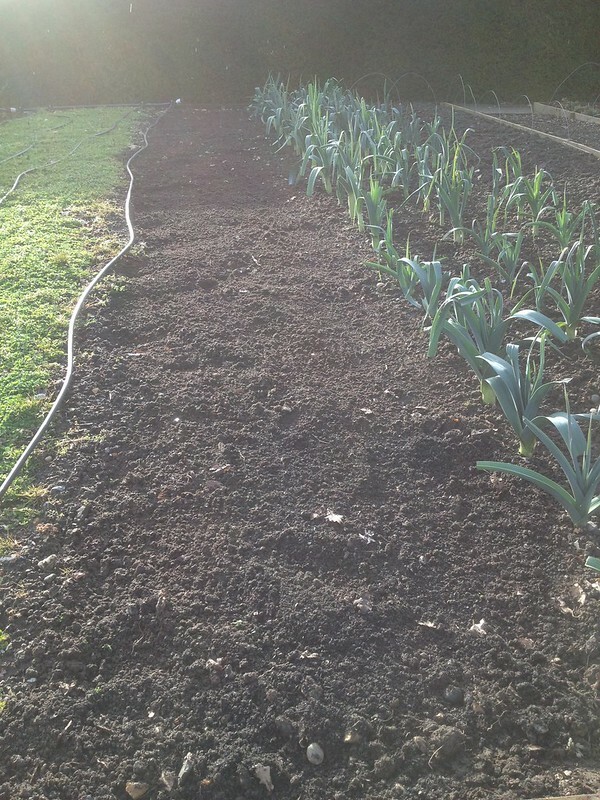 Spring is coming so it looks like I might be spending more time in the veg garden. 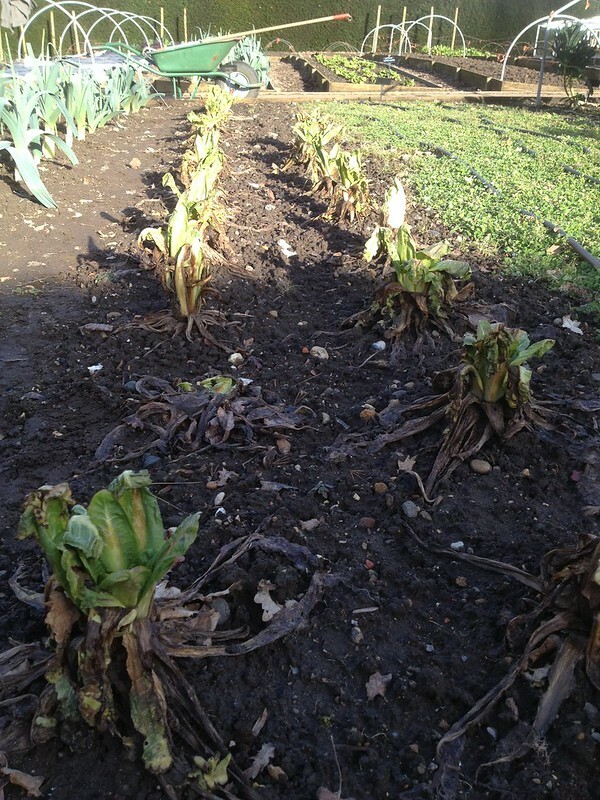 Today we did some clearing of spent crops (chicory and chard), covering beds so the soil warms up and new crop can be grown earlier and tidying up leeks. 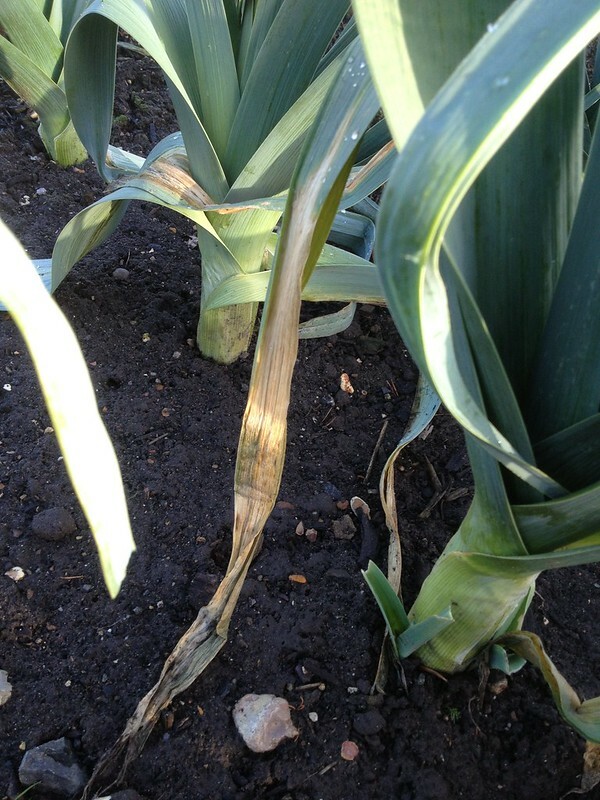 The reason for tidying the leeks was that some leaves were infected with rust (Puccinia allii, causing orange lesions on the leaves, which in this case were affected to a smaller extent) and white tip (Phytophthora porri causing white leasions, soft rot and wilted tips) which are both fungi whose spores are airborne and/or scattered by rain splashes. 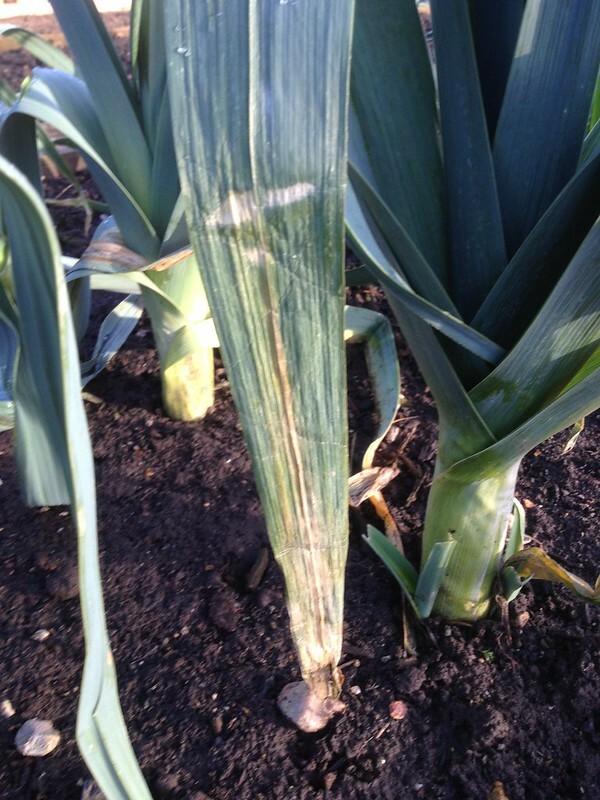 As I was working on leeks, and they are a rather popular crop, several visitors asked me how we protect our crops from the leek moth (Acrolepiopsis assectella) and allium leaf miner (Phytomyza gymnostoma), which this year has made it to the top horticultural pests reported by members to the RHS advisory services. Both the white caterpillar of the leek moth, with its brown head and small legs, and the white headless and legless maggot larvae of the leaf miner tunnel into the stems of leeks, damaging them and making them susceptible to secondary infections. 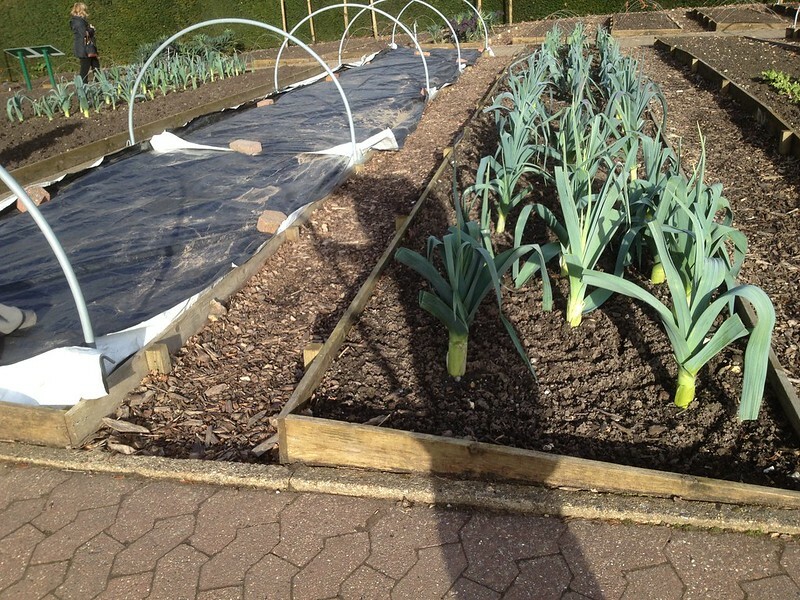 Horticultural fleece (better still enviromesh/very fine netting, which allows better airflow around the plants and allows for more water penetration) protects the leeks from attack, which however are sprayed here (as chemicals are available for professional growers). 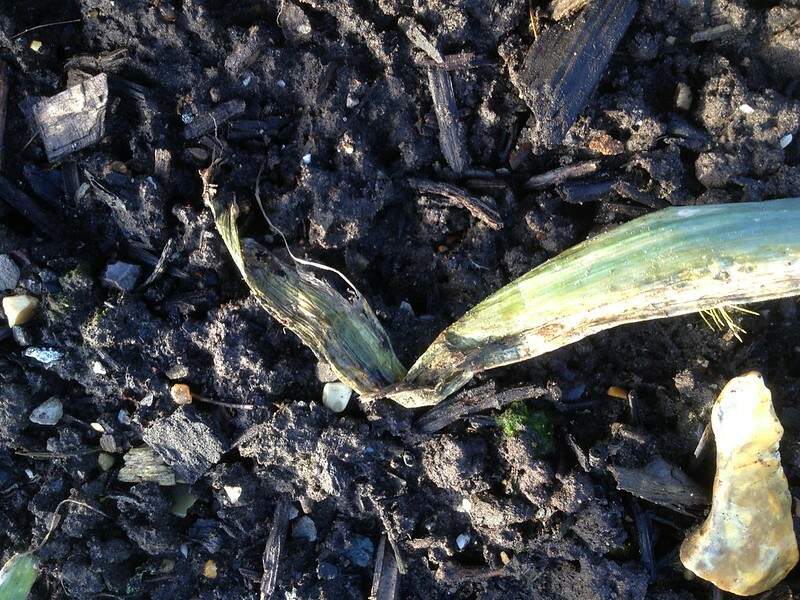 Visitors also asked when the leeks had been planted. The early ones, for planting out mid-April, can be sown indoors Jan-Feb. 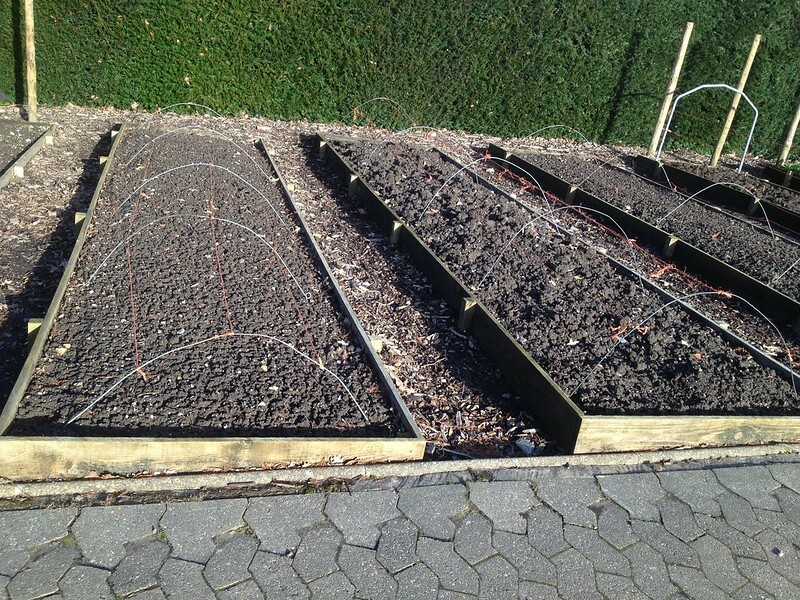 But the ones that overwinter are sown in April, ready to be transplanted June/July for cropping November and onwards. More info is available on the RHS Grow Your Own website. As I had not been in the veg garden for a while, I had a look at the bed we dug back in November, and the difference between the one I dug that was rougher and the one that was done by someone with years of experience, which was smoother, is still quite apparent - my colleague was not joking when he said it will need raking before the new crops go in! ... what am I saying, elders, little elders in a row. Starting on a sunny morning and ending with the afternoon rains, we spent the whole day making treecircles around the little elders in between the fan borders. 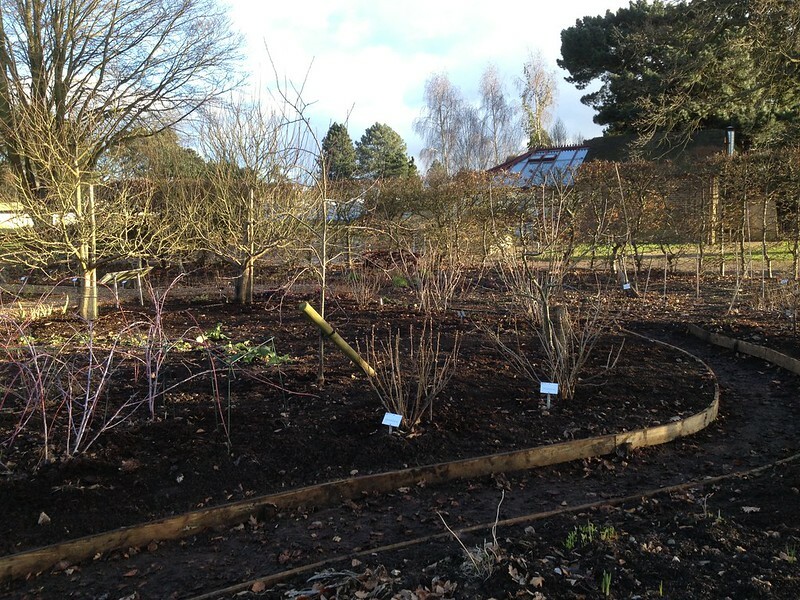 These Sambucus nigra (and S. nigra f. porphyrophylla, the purple-leaved form) plants, some 30 - two each of a cultivar, have been in place for a while now, but have not thrived. They started off as weaklings, and risked to end up in the compost heap a couple of times, as the very sandy soil on that particular strip of land even with the occasional mulch has meant that watering was never enough and the plants never really took off. But the arrival of a new colleague to take care of them, means that they have been given another chance: they were protected with tree guards and now it's the turn of grass free circles that will be kept mulched, to increase the organic matter in the soil and ensure better retention of water around the roots. 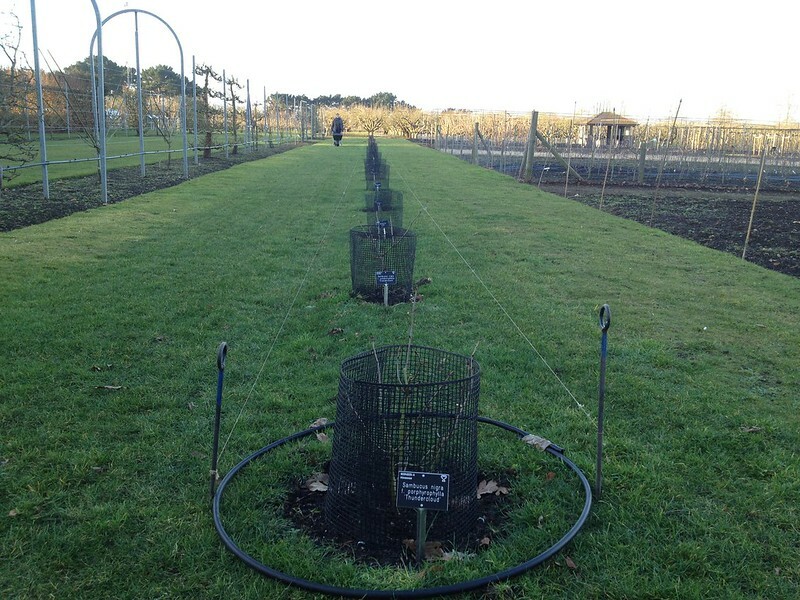 I had not done tree circles since Kew (when it gave me the opportunity to observe trees from up close, like the collections of Fraxinus and Aesculus) and had never done them around tiny shrubs that did not have a stem to circle around, but my colleague had a plan. Because this particular row of plants is very straight and very long, the circled needed to be all aligned to avoid an unpleasant aesthetic effect. At Kew, where tree circling is part of the arboretum's regular maintenance, they used an ingenious round wooden plank, that split in two halves; you could walk on it minimising the smudging of edges. In the Fruit team here there's no such regular need to do circles, so there's no special gadget to help and we used a lenght of pipe as a template, and string lines to keep the circles aligned. As the wind rose at about lunchtime, we had an opportunity to observe how quickly the newly exposed soil dried up. There were however plenty of earthworms, which is a good sign. Most of the elders were putting out leaves, which I had already seen in the Cottage Garden; but some had flower buds already visible and half open, which seemed rather early, so we snipped them off to let the plants concentrate on their growth rather than fruiting. At the end of the day only a handful of circle was left, and we were pleased to have come that far. 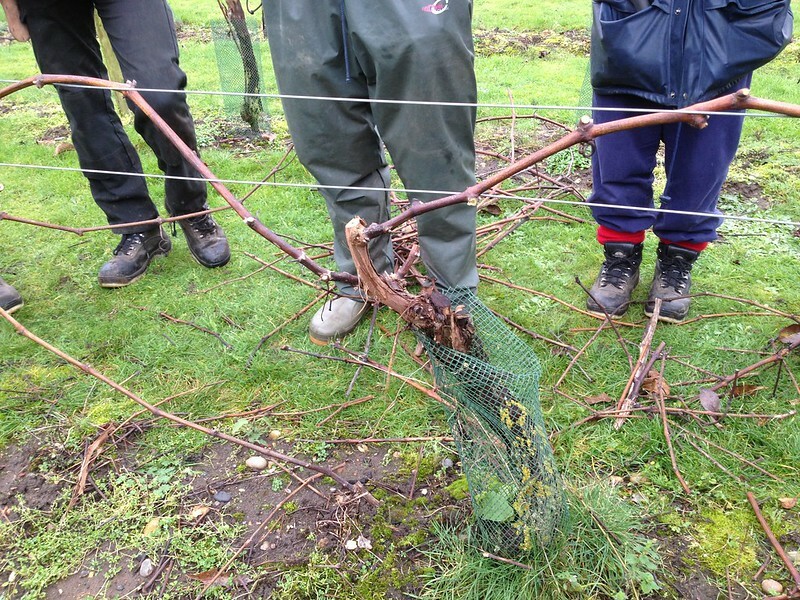 I still remember how pruning the vineyard was such a relief at the end of the pruning training week, as it was so straightforward and one could whizz through it, feeling rewarded at the end! Principles are really clear and so is the putting them into practice. 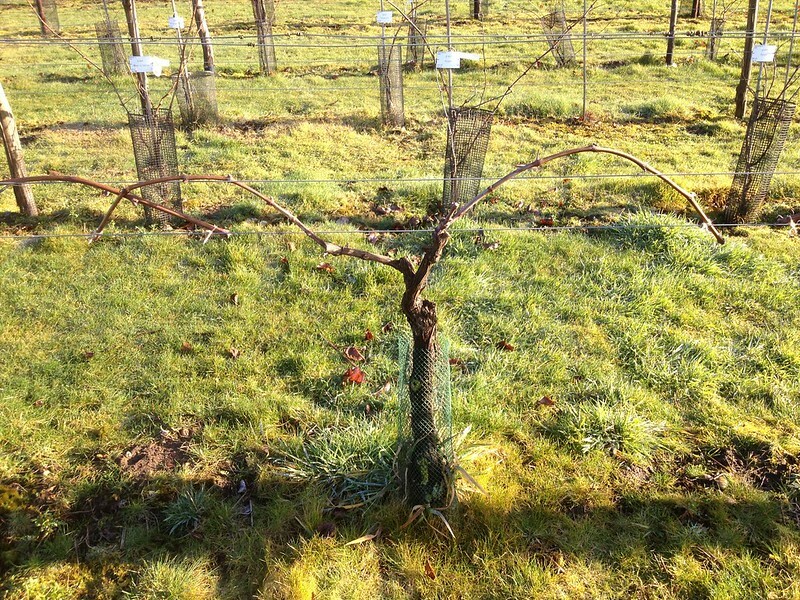 We use the "double Guyot" replacement system, which consists in a thorough pruning every year, leaving just 2 replacement arms of new wood, plus an extra 3 bud stub in case it's needed. 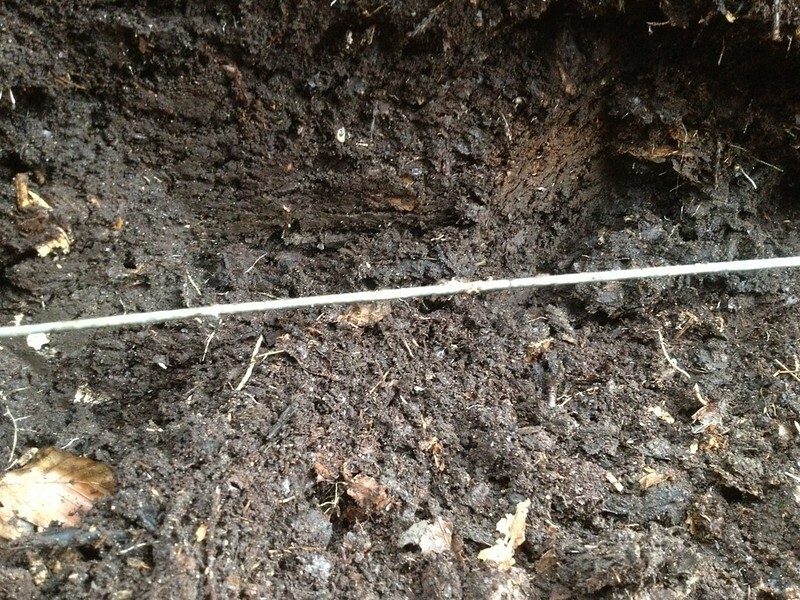 You choose branches that come from below the lower wire of your post and wire system, around 80 cm from the ground so that there is good airflow but also some warmth reflected from the soil underneath. If there is no suitable new wood coming from close to the trunk, you don't leave an old rod: the hope is that new wood growth is stimulated, even if you are left temporarily with only one arm. Then you remove the new growth that is not well placed, not long enough as an arm, that is weak or diseased. You review your pruning of old wood in the process. 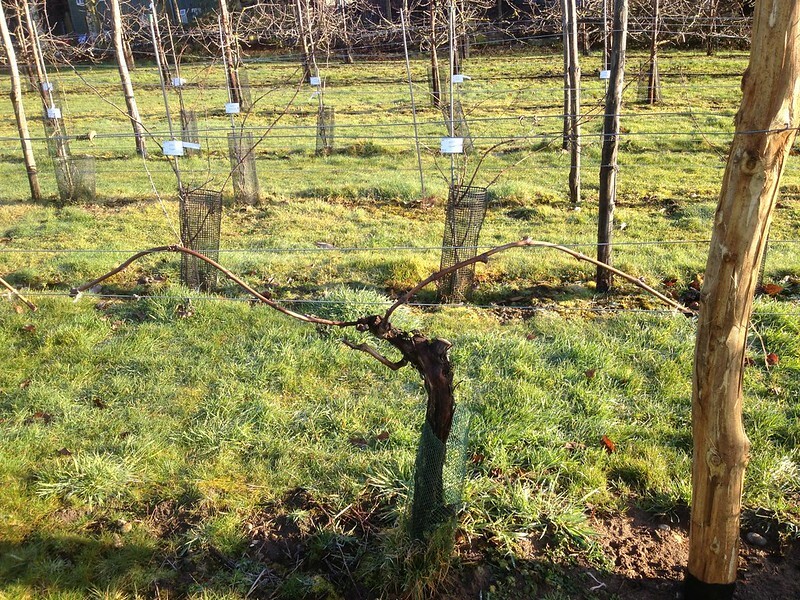 You are eventually left with three suitable branches: one has to bend towards the left, one to bend towards the right and one of which you will treat as a 3 bud stub, your insurance for replacement purposes.When you have made your choices, you have to prune the branches to a suitable length so they can be tucked in up the second wire and down the bottom one, on their respective sides, without encroaching on the surrounding plants. We left it to that at the time, but then went back today to tie the branches in as a team hit. Carefully stretch and bend up the second wire at the back, then down the bottom one at the front, without breaking them; tie; cut. What will happen next, is that the branches will send up new shoots vertically. These will be trapped between wires tied with chains at the poles on either side of the rows. Any growth that will flop over, will be trimmed away. Cecidophyopsis ribis, also know as big bud mite, sapsucker. A tiny (at < 1 mm) but nasty one, as it helps transmit what is known as reversion disease, a viral infection. Fascinating life forms, viruses: DNA/RNA sequences coated in protein, that are dormant at maturity and so can survive for hundred of years only to be activated when they manage to get into a cell of a suitable host. You generally don't want a virus on your plants, though, as there is no cure. I say generally as, even more fascinating, some plants are bred from infected material, as the symptoms of the infection may be aesthetically pleasing: like colour streaks, or fraying of leaves and petals. But you definitely do not want infections of fruit trees when the symptoms include reduced fruiting ability, which is what reversion disease eventually ends up in. But back to our Cecidophyopsis, in the summer it crawls out of its nest (in one of the previous year's buds, that has by then died and dried up, failing to perform its function), together with hundreds of its siblings, and goes in search of new bud to inhabit. The new abode, where it settles and start feeding on the sap of embrionic leaves, becomes apparent in late winter as a round and swollen bud in the midst of long and tapered ones. Big bud mites attack blackcurrant (Ribes nigrum) and redcurrant (Ribes rubrum) but not gooseberries (Ribes uva-crispa). If they were not at risk of transmitting reversion disease, they would generally do minimal damage. The occasional big bud can in fact be picked off and disposed of. However, bigger infestations may weaken plants as well. 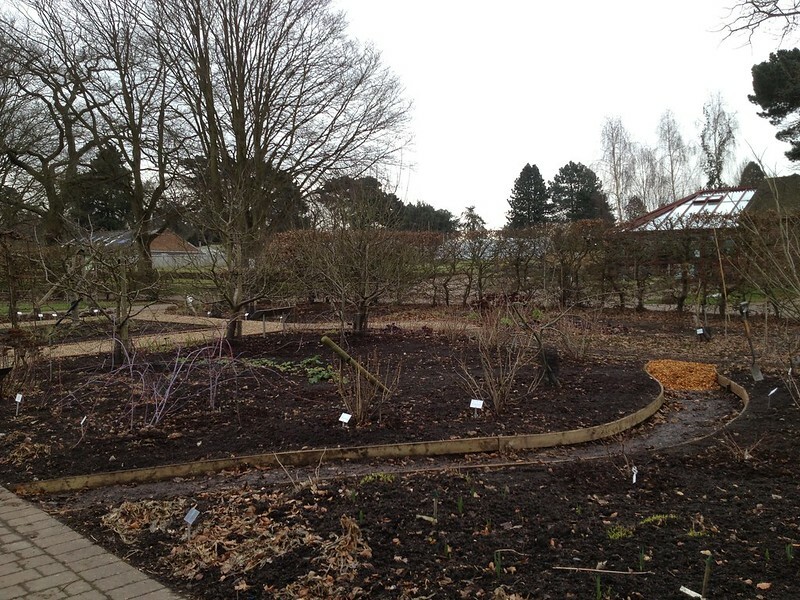 As the collection here at Wisley (some 40 cultivars) is suffering from repeated attacks, and because the plants are many and in close quarters, we needed more drastic action than just the picking off of buds. So we spent today stooling (pruning right down to the ground) all the plants in order to try and get rid of this pest. Here's a picture of one such plants, before and after stooling. We found big buds right down to the bottom of branches, so it was worth cutting right down to the ground, the shortest stumps possible left. 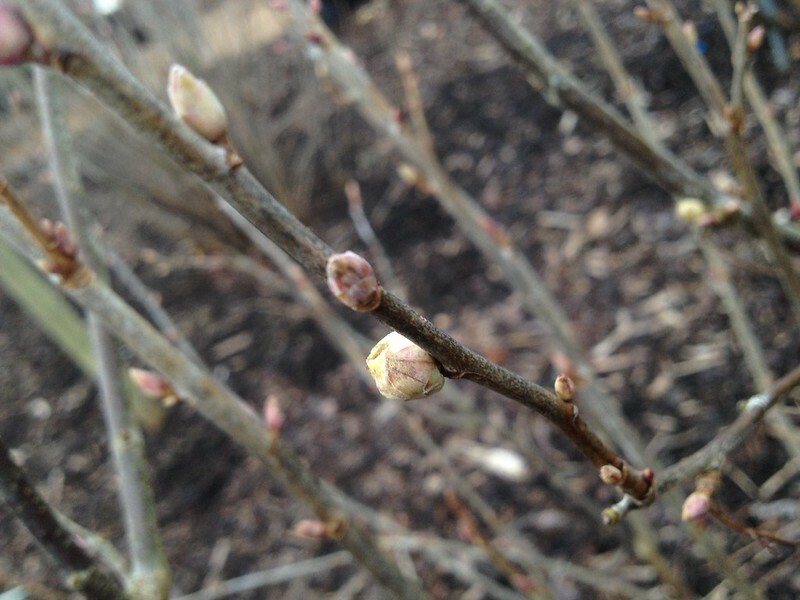 I myself think that new buds emerging from the ground will have a better chance to thrive if they can grow without having to twist around any obstacles, which stumps tend to be, especially if at an angle. Blackcurrants fruit on second year wood (and onwards, but less prolifically). 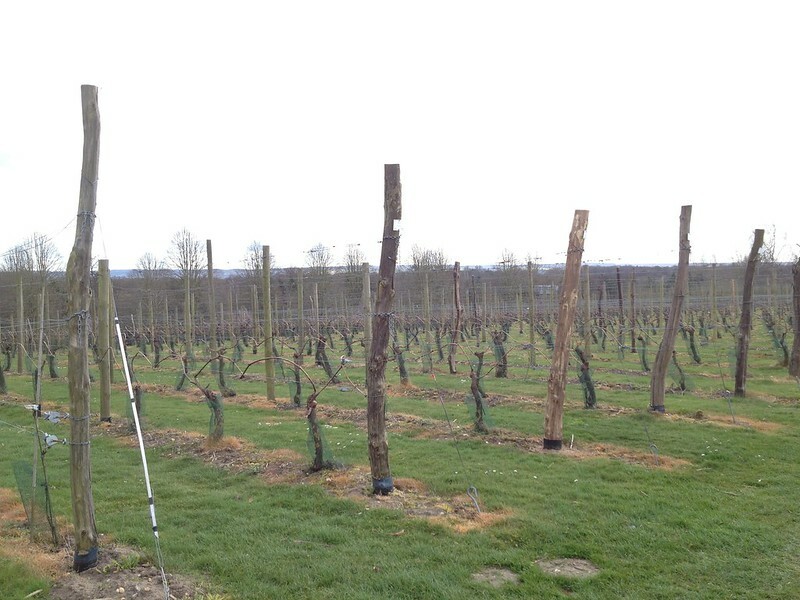 Because of that, pruning usually entails cutting about 1/3 of the oldest wood back to the ground, but leaving stems up to 3 years old intact for framework and fruiting. That means that we won't get any fruiting from the plants we stooled this year, but they will hopefully fruit well in the summer 2016. 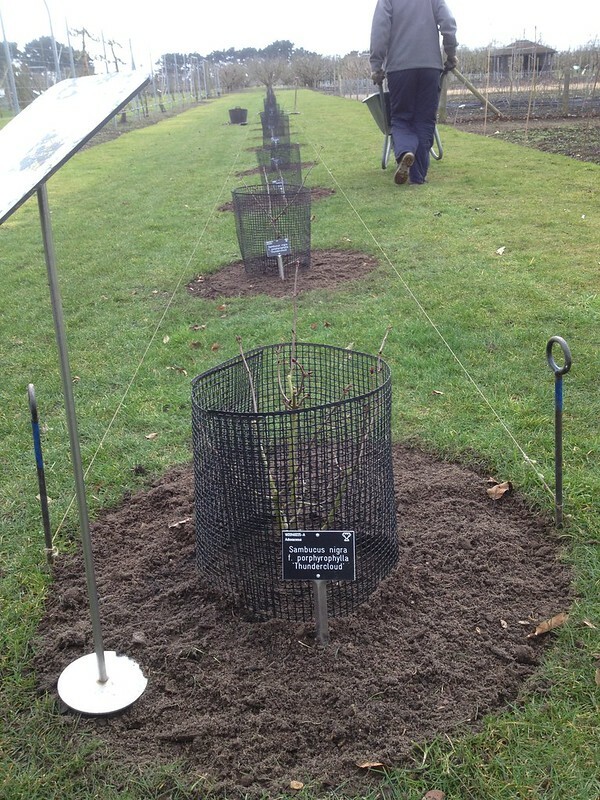 Fruits will be used to help check which cultivar is which, and, once tested for the absence of virus, the plants will provide the propagation material for the next generation of the RHS Garden Wisley blackberry collection. 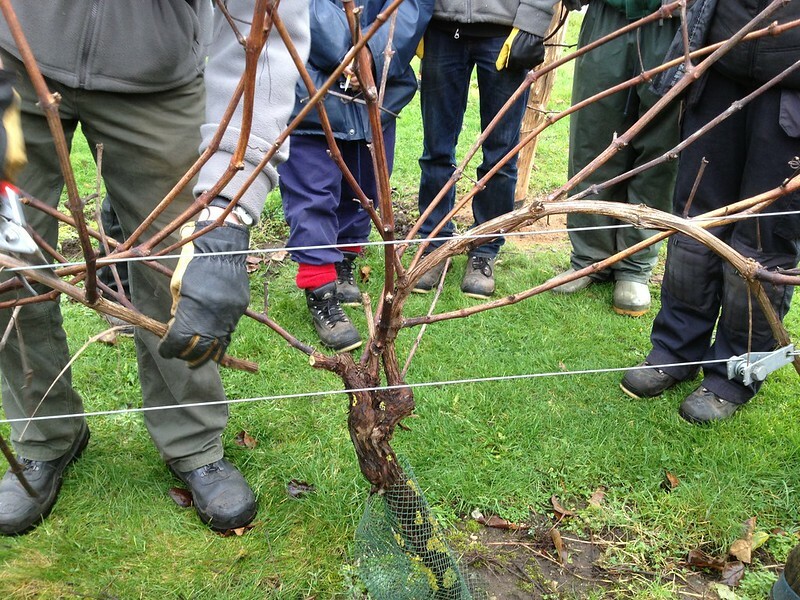 After my rather demoralising experience with the rambling rose, I was looking forward our rose pruning masterclass today. 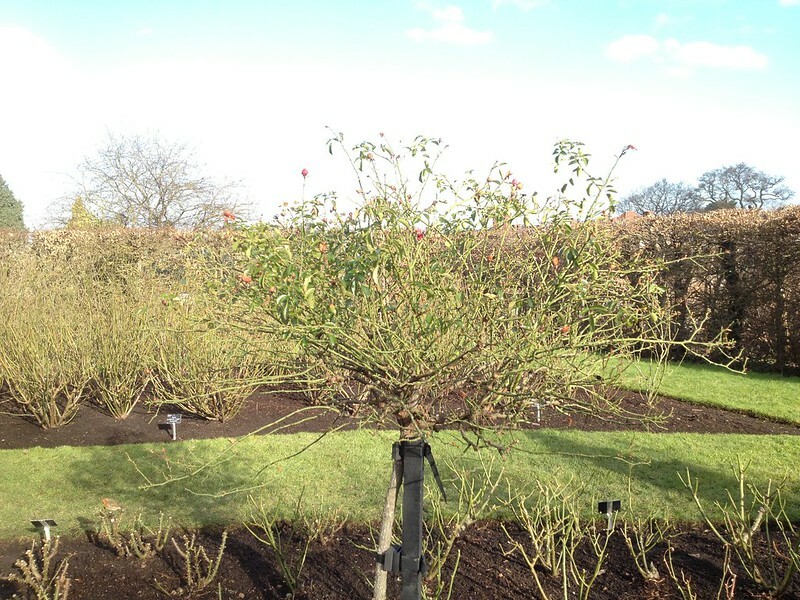 Different types of roses need different pruning regimes to ensure good flowering, and we had a go with the four different types below. 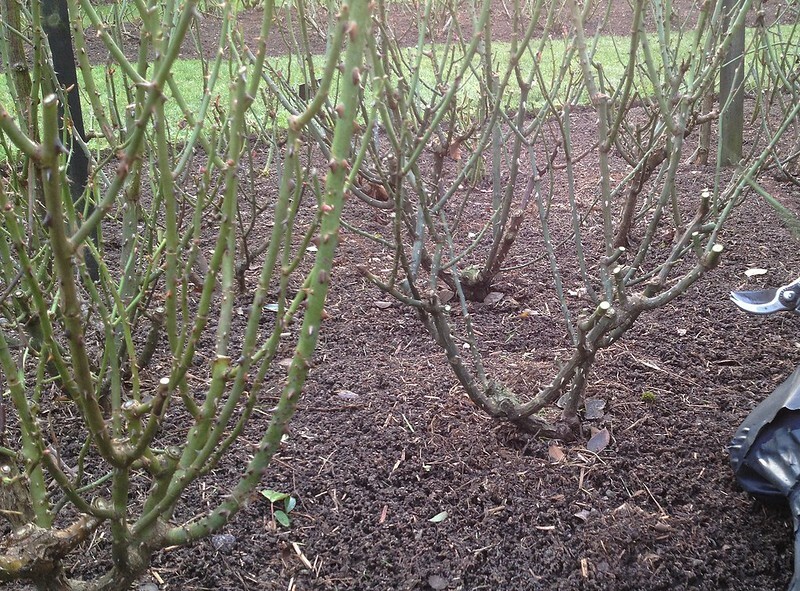 In general, when rose pruning, one aims at creating an open centred shrub to ensure air circulation, in particular as rose are prone to fungal diseases such as powdery mildew (Podosphaera pannosa), blackspot (Diplocarpon rosae) and rust (Phragmidium tuberculatum). 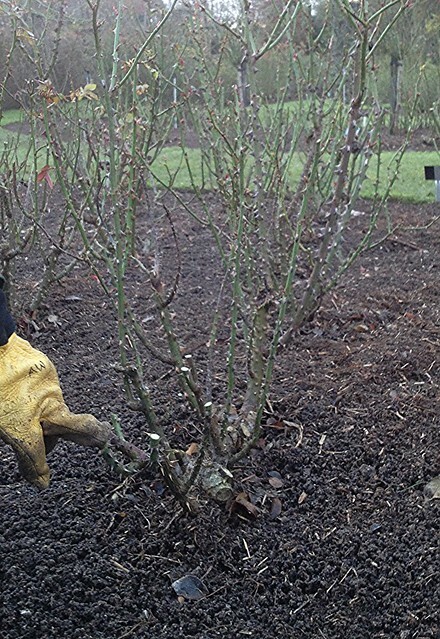 Also, as always in pruning, one aims to remove all dead, diseased and damaged material, to operate with clean and sharp tools, and to clean up around the plants so that debris and leaf litter does not harbour pest and diseases. ensure new strong growth. They may repeat flower in flushes, usually three per year. 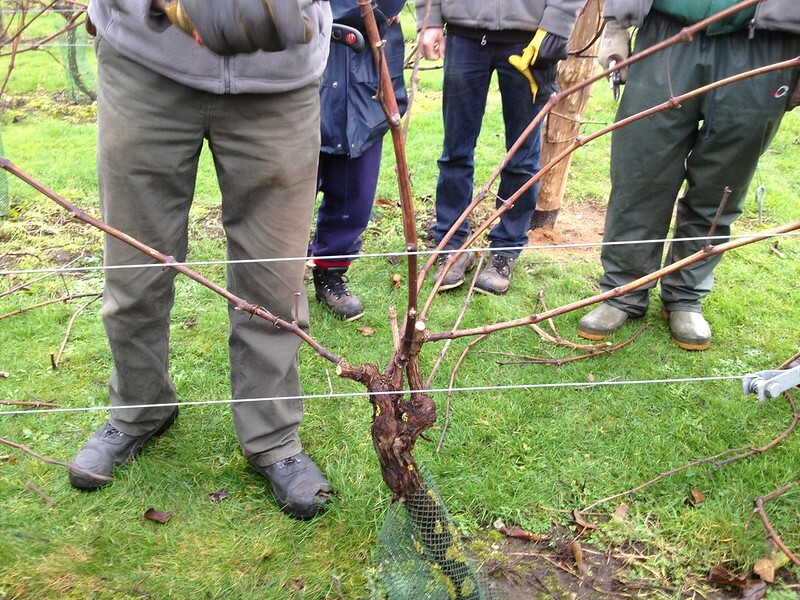 Stems are cut down to secateur's length from soil level (which generally means 4 to 6 buds from the ground), at a suitable outward facing bud (although if no bud are visible sometimes a cut is made anyway at a suitable height in the hope of a bud emerging later on. This might lead to dieback). 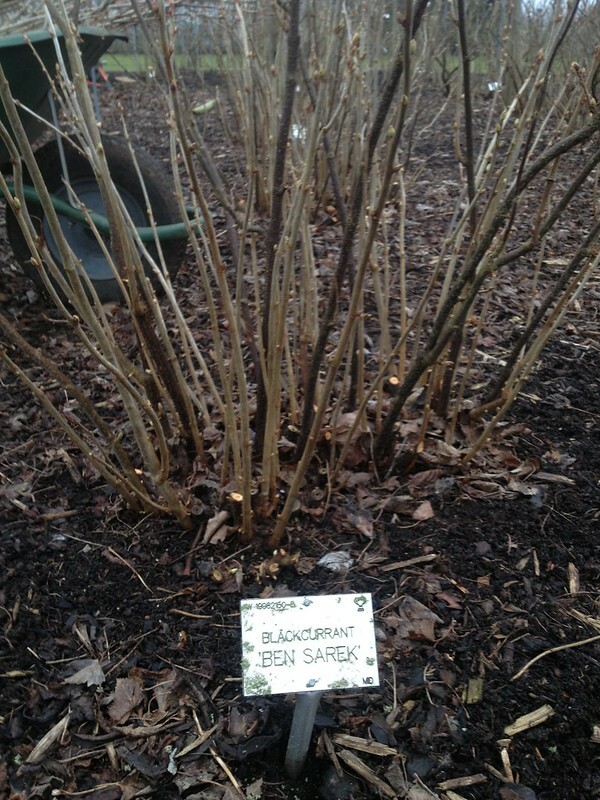 The frame of the plant is generally formed by 4-5 healthy stems, so older wood may be removed right to the ground. 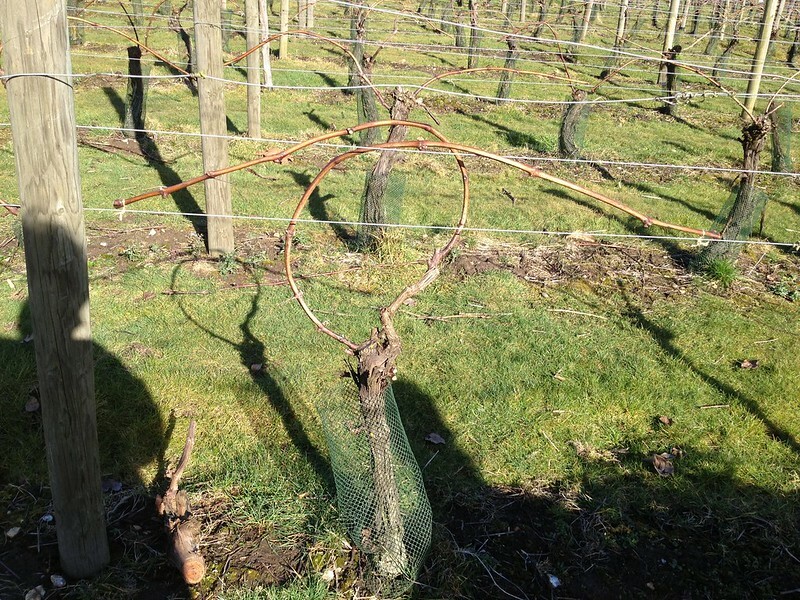 Any weaker shoots are pruned back to 2-4 buds, to try and strengthen them. Like hybrid teas, floribundas arepeat-flower on new wood. They flower in clusters, and continuously throughout the summer. 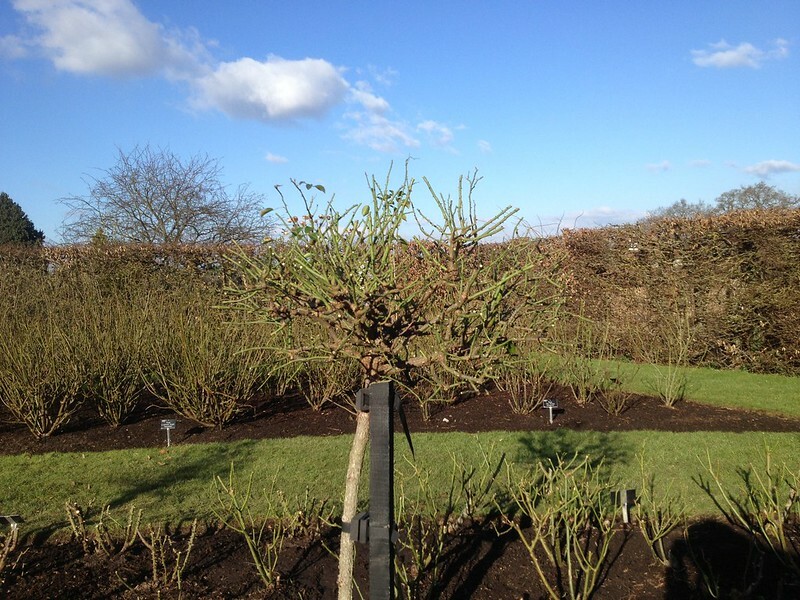 They are pruned back in a similar way to hybrid teas, but the framework of the plant is kept higher up from the ground, about 2 secateur's length, or 6-8 buds from the ground. Also, more stems are retained: six to eight. The aim was to keep a lollipop shape, round rather than flat at the top, to create which one starts working the stems on the sides, shortening them to two or three buds from last year's growth, then gradually moving towards the top. 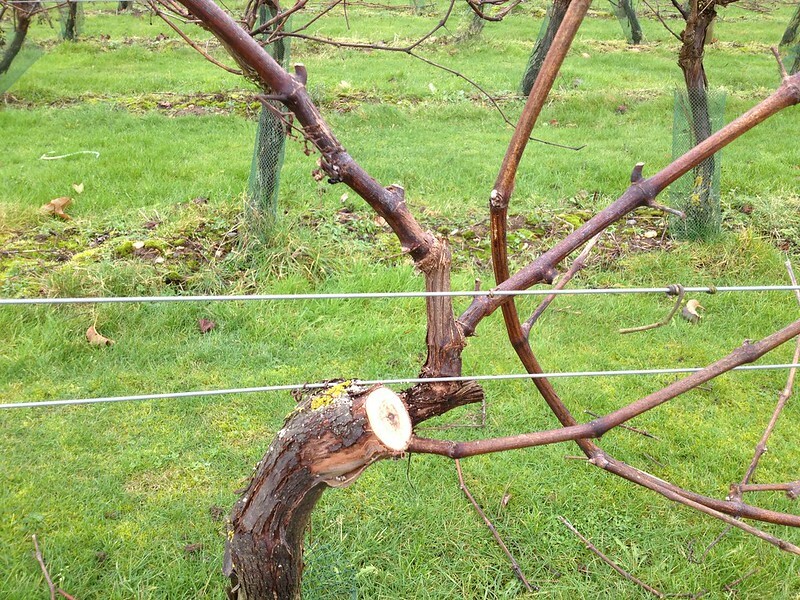 The same rules apply as if the stems were growing in the ground, but they are not cut back as hard so more stems are left, as hard pruning may encourage suckers in the rootstock that provides the stem. Equally though one has to make sure they do not get too top heavy and snap or fall over. Old shrub roses, like species roses, are best left to themselves, as they flower on older wood, and they only need occasional renovating by cutting the oldest wood back to the ground. Modern shrubs or English roses, however, depending on their vigour, can be cut back about one third to half, in a domed shape to obtain a fullly-furnished flowering plant. 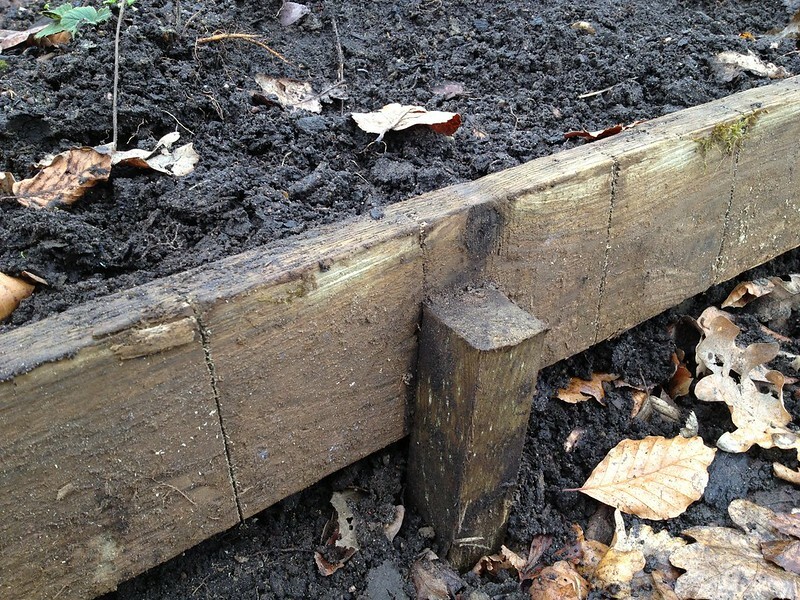 As always, a portion of older wood needs to be removed from the ground, to keep the plant open centred and to generate a constant supply of new wood. 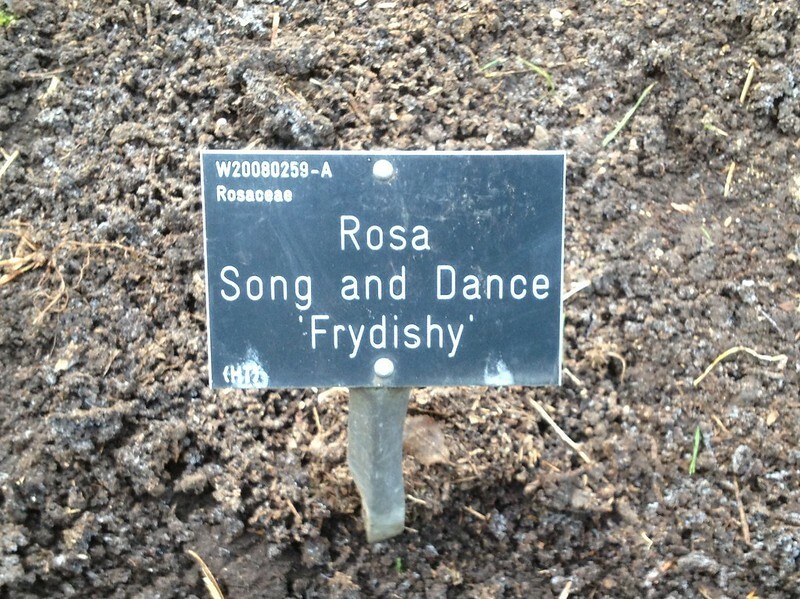 If you come and visit RHS Garden Wisley and find yoursefl wondering how to identify the roses you are looking at: it's all on the label! The fifth line (centre, in inverted commas) is the breeder's name of the rose, with the first 3 letters being the breeder's code. The new path was edged! Back from the weekend I found another surprise: my wonderful colleague on duty had edged the new path with wooden boards ready to take woodchips... which my fellow trainee in the arboretum got for me as quick as a flash. Actually, I started with the leaves, going back one step... 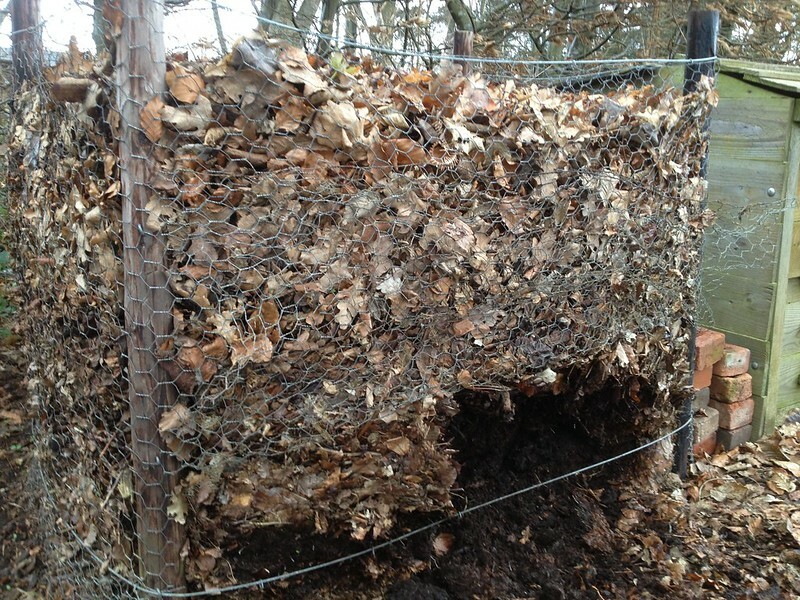 In the Cottage Garden there is a lovely leafmould cage, in which leaves had been moulding away for a few years. As I had plenty of leaves to put in, I thought I would get some of the excellent crumbly conditioner at the bottom of the cage to topdress my plants. reading recently as "the prince of soil improvers*" and hornbeam (together with oak and beech) makes top-quality** mould. 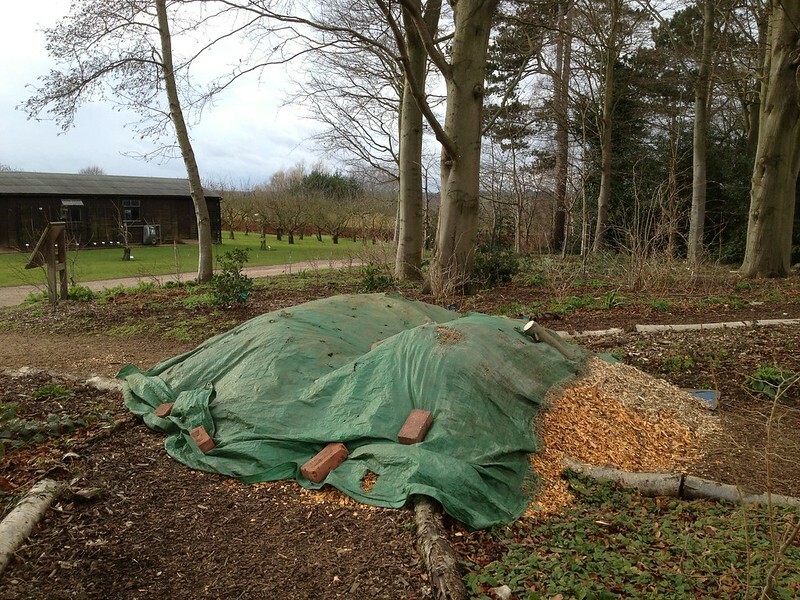 Leaf mould is not rich in nutrients; however, it improves the organic matter content of soil (essential with our sandy soil) and helps retain moisture. So I emptied the cage from the bottom and filled it back at the top. 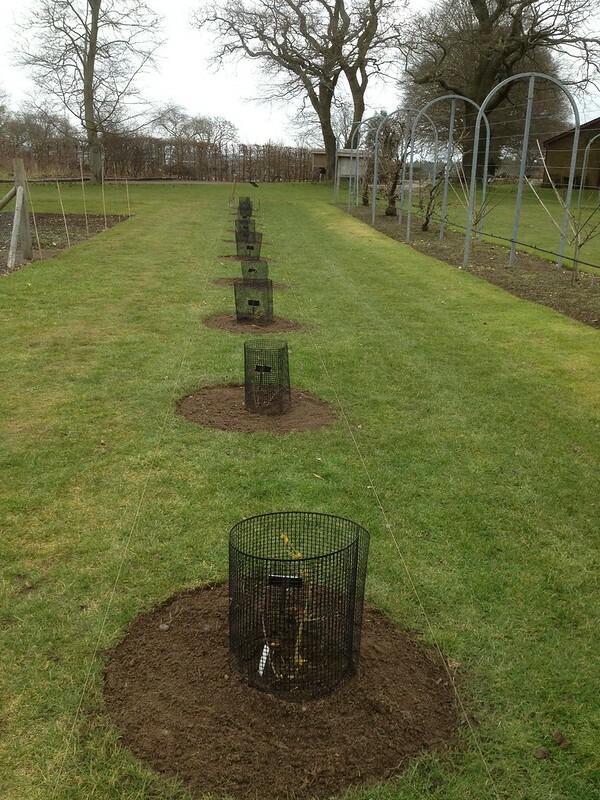 Then it was the turn of planting the Aronia. 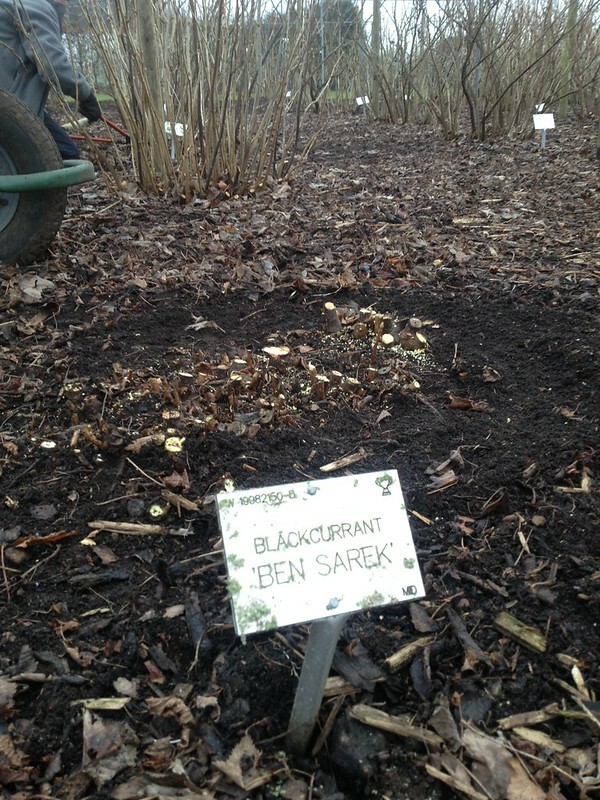 Also known as chokeberry, the plant is great for winter colour and has edible berries that come in red, purple or black (depending on the species); the taste of said berries is more or less palatable (with some only suitable for cooking) and it apparently improves after frost. Chokeberries are allegedly rich in antioxidants and they are gaining popularity as a "super food" (although I never get too excited on a single fruit/veg as miraculous; I believe a balanced diet of fresh, local and non-chemically treated plants and some free-range meat and dairy, from animals fed as nature intended, is best). Finally, it was the turn of filling in the path with woodchips (and topping up the old path too), a task made lighter by the precious help of a colleague and a volunteer. The new path was inaugurated by our lovely regular visitors Brenda and Gordon, who have been taking an active interest on the progress of my area. I had never edged a path before, let alone a winding one, so I found it really interesting to discover how it is done: a series of parallel cuts into the boards makes them flexible to bending, a technique also used for training spindle trees. 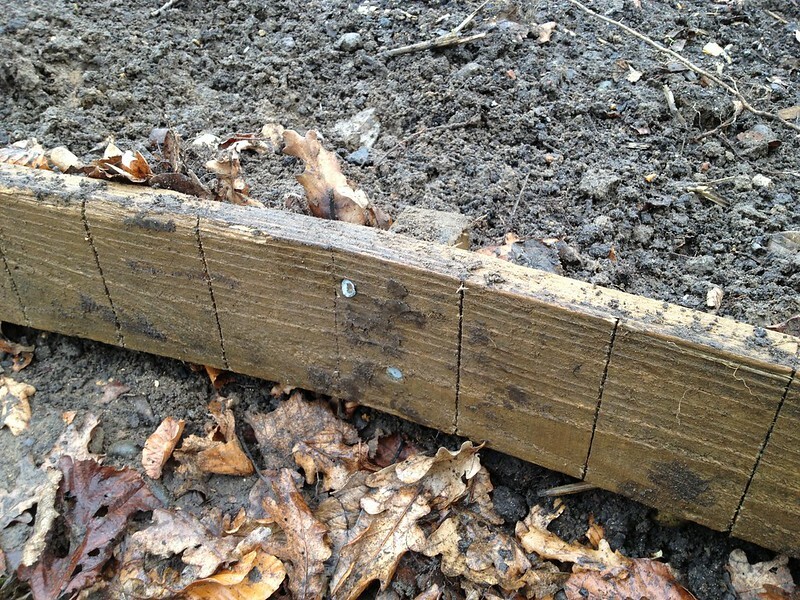 The boards are then fixed into place by nailing to posts driven into the ground. Et voila'.